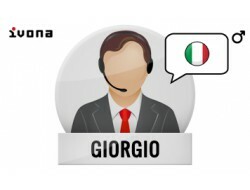 Italian voices | Ivona Software | Harposoftware.com Internet Shop - Harpo Sp. 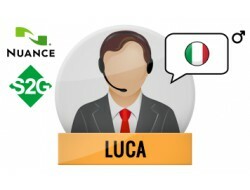 z o. o.
Luca italian voice, male, with Speech2Go. Paola italian voice, female, with Speech2Go. Federica italian voice, female, with Speech2Go. 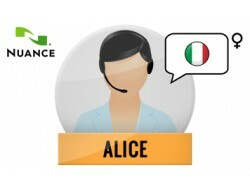 Alice Italian voice, female, with Speech2Go. 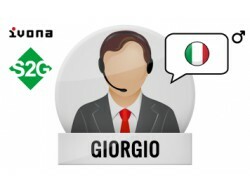 Giorgio - Italian voice, man with Speech2Go. 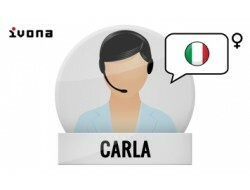 Carla - Italian voice, woman with Speech2Go. 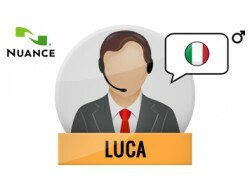 3 Italian Nuance Voices, Speech2Go included. Amy, Hans, Enricque, Céline, Carla - 5 West European voices pack (British, German, Spanish, French, Italian) with Speech2Go. 6 European Nuance Voices (English – GB, German, French – France, Italian, Spanish – Spain, Russian Speech2Go included. Salli, Brian, Giorgio, Christiano, Tatyana, Jacek, Hans, Naja, Celine, Conchita, Astrid, Filiz - 12 international voices pack with Speech2Go.